Essays on Capital Structure Decisions:. Doktorarbeit von Philipp Immenkötter, Verlag Dr. Kovač 2014, 146 S.
This book provides an extensive analysis of how companies choose the mix of debt and equity to finance their assets. In three distinct essays, the author presents novel empirical and theoretical explanations for the dispersion of debt ratios of US firms within the last four decades. 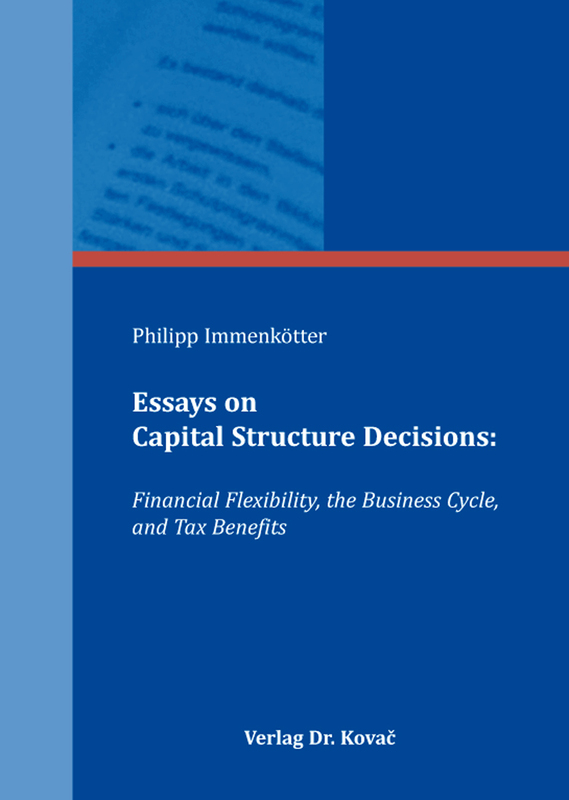 The first essay shows the importance of financial flexibility in capital issuance decisions, while the second analyzes the impact of macroeconomic risk on optimal capital structure choice. In the third essay, the author shows that investors discount tax benefits to a larger extent than predicted by asset pricing models.